Climbing season may be over, but that doesn’t mean you can’t reach the summit. 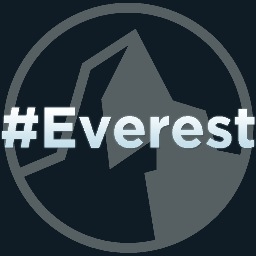 Get the latest #Everest build and disregard all notions of personal safety and reasonable behavior! Have fun takin’ selfies, and don’t forget to try not to die! 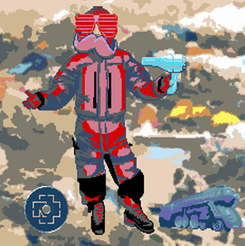 Get the latest version of the most chill game! Hey everyone! 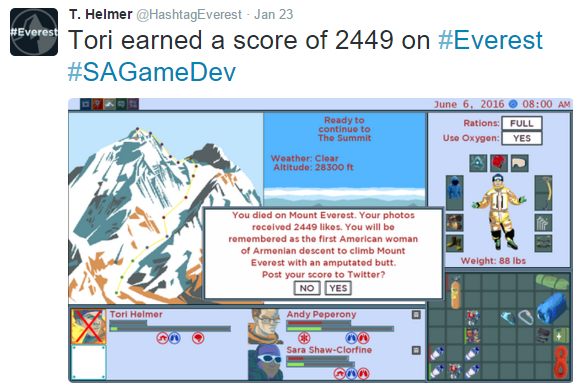 I’m thrilled to announce that #Everest won “Best Use of Theme” in the 2016 Little Awful Jam! The contest isn’t over yet, though, as we’re up for the Community Choice award. 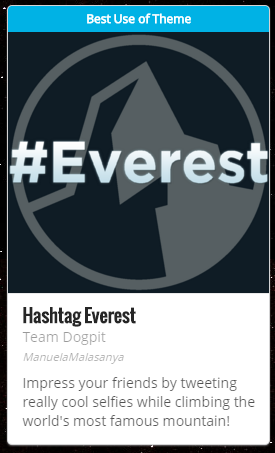 Please help us win by voting for “Hashtag Everest” here, then see how we can make a good thing even better by downloading the latest release! 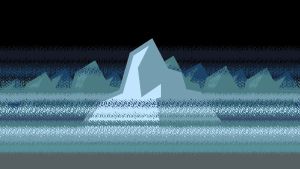 You’re all in for a treat with this one because we made a HUGE number of updates to the game and now the game that won an award for being chill is even more chill than before! 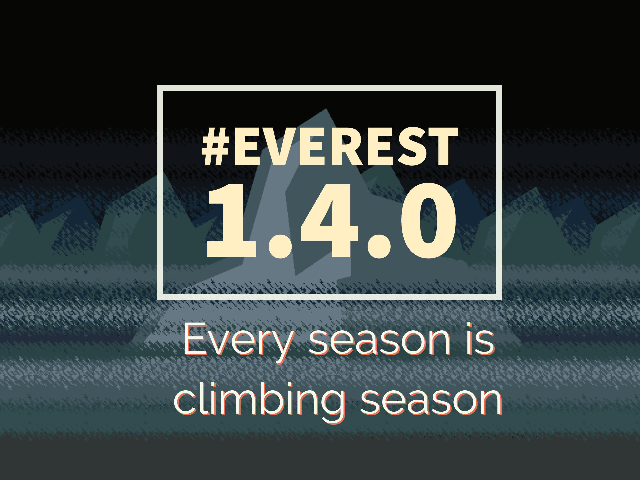 See how we pulled that off by getting #Everest v.1.2.0 right here! 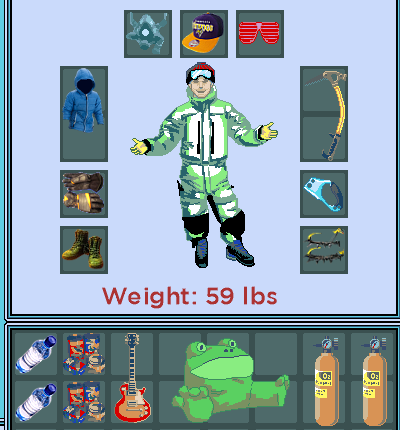 Added morale system – if the player character’s photo gets a lot of likes, they’re happy and regenerate health and stamina twice as fast. If their photo gets snubbed, they’re sad and regenerate health and stamina at half the normal rate. 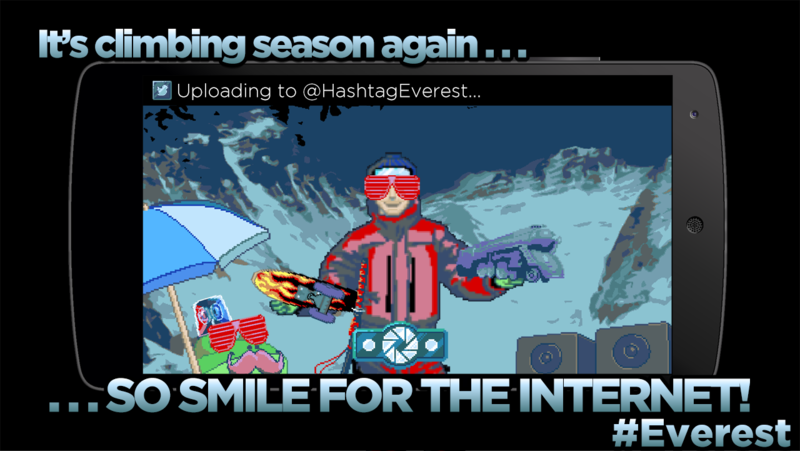 #Everest is pretty good, but don’t you think it’s missing….something? We thought so too, so we went back and added some screen shake! Oh and also some major UI overhauls, bugfixes, and other stuff that isn’t as important as screen shake. Get the latest version here! !